This is the first in the two-part series on the much-forgotten Malabar Struggle and stories of ghastly violence committed by the British in the region around 1921. I Sameel, the author of this article, also looks at why and how such incidents were ‘left out’ or/and ignored by our mainstream historians. This article was originally published by Madhyamam Weekly on October 8, 2018. The article has been translated from Malayalam by Najiya O of TwoCircles.net. The Malabar Struggle is a critical time space in the Indian freedom struggle. The different angles of viewing the struggle are evident in the terms of Mappila Rebellion and Malabar Revolt etc. The Malabar Struggle has been significant in influencing the creation of the ‘common’ conscience of ‘modern Kerala’, determining the path of the Indian nationality and the formation of the social identity of Malabar, according to EV Ramakrishnan in Malabarine Kandethal: Padanam, Malabar Desheeyathayude Idapadukal (DC Books, 2008). However, the Malabar Struggle still remains a critical timespace in the history by the different ‘looks’ mentioned above. Just like the Malabar Revolution was ignored by the national historical studies, it can also be seen that some significant incidents in it were ignored or only casually mentioned even in the special studies related to it. Important among them is the massacre by the British at Melmuri-Adhikarithodi in Malappuram. 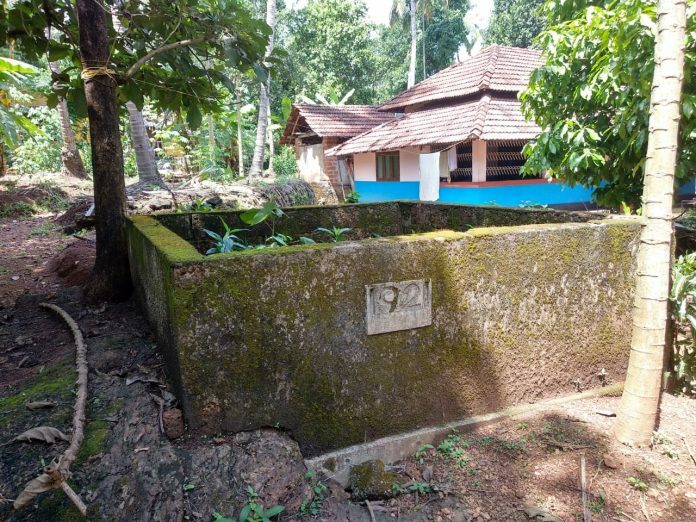 This incident comes second only to the bloody Pookkottur battle in the number of people killed among the various incidents in the Malabar Rebellion. While more than 350 people lost their lives at the Battle of Pookkottur, the massacre at Melmuri-Adhikarithodi took the lives of 246 people on October 25, 1921. People including women, children, aged and sick people were forced out of their houses, lined up and shot dead by the Dorset Regiment, an infantry regiment of the British army. However, it has not found a place in the public history. Some incidents including the Melmuri-Adhikarithodi massacre have been totally neglected from the general readings about the violence of the colonial government and massacres that took place in Kerala. And hence, more detailed studies should be carried out about the massacres that took place in Kerala, especially Malabar, during the colonial rule. It can be seen clearly that the Punnapra-Vayalar struggle (a communist uprising in the princely state of Travancore, British India, against Prime Minister, C. P. Ramaswami Iyer and the state in which around 1,000 people were allegedly killed) has got much importance in the public readings and history in the studies related to the massacres in Kerala. Though the massacres in the Malabar Revolution including the Pookkottur Battle have been exceptional considering the nature of the struggle and power of the enemy etc when compared to the Punnapra-Vayalar struggle, they are given only lesser attention in the public readings. The Punnapra-Vayalar incident as such is considered a central theme in the history of struggles in Kerala. But such a position is not given to the Mappila struggles in Malabar in which thousands of people have died. The Melmuri-Adhikarithodi massacre has not become a central theme for even the studies about the Malabar Struggle. There have been studies on whether the massacres related to the Malabar Revolution were part of the national history or not; but even those studies have not probed into the government terror involved. Such a probe would be possible only through the historiography centred on these massacres. This article is an effort to discover the material causes and archives from the memory of people and historical remnants of this region for such a historiography. 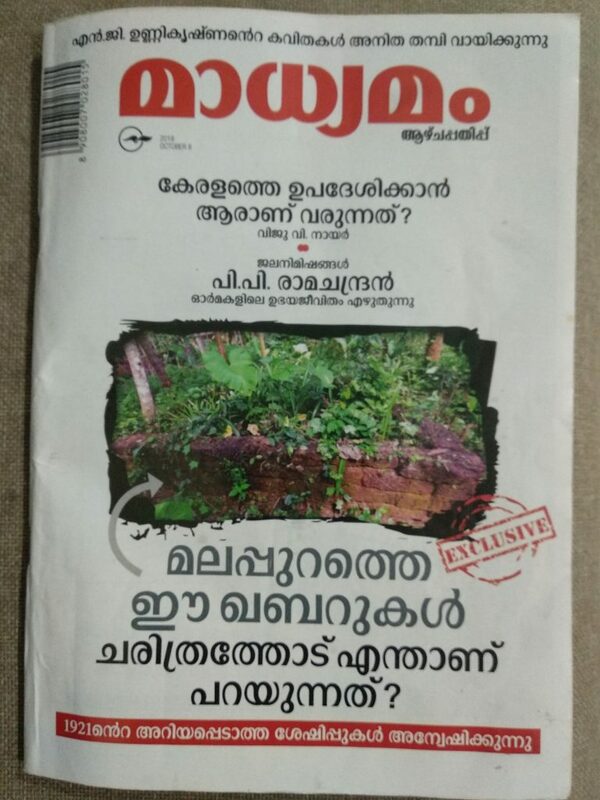 And this effort is relevant as the historical narration of the Malabar Struggle should go beyond the colonial records of RH Hitchcock, GRF Tottenham, CT Atkinson and Divan Bahadur C Gopalan Nair as well as the studies carried out by Dr M Gangadharan and Dr KN Panicker. Innocent women and children along with old and sick people were forced out of their houses and shot dead, houses looted and set on fire by the British army’s Dorset Regiment. This took place in the places named Konompara, Adhikarithodi, Melmuri Muttippadi and Valiyattappadi, in a 1.5 kilometre circumference on the Kozhikode-Palakkad national highway, which is 3 kilometres from Malappuram town. This is the Melmuri-Adhikarithodi massacre that took place on October 25, 1921. The soldiers in the companies A and D in the second battalion, Dorset Regiment, reached Konompara in armoured vehicles with cannons under the leadership of Lieutenants Hevic and Goff in the morning and massacred 246 people. Hundreds of people were killed in the orchards and courtyards, and about 100 houses were set ablaze in the operation of a few hours. Some remained in a critical situation as good as dead after having been shot. There were some others who lay abandoned for about four days and then died as there was nobody to take care of them. The martyrs were buried in the places they lay dead. Though most of the studies on the freedom struggle and the Malabar struggle kept silent on this massacre, the graves played an important role in keeping the incident alive in the memories of the region and the generations that followed. Those who were shot dead in the courtyards in front of the houses were buried there itself. The burial was completed by the people who came from nearby places on the request of Kunjithangal of Malappuram Valiyangadi, the president of the Malappuram Khilafat Committee. Many people have been buried in a single grave. Many were buried in the dead of the night out of fear of the army. While some were buried in the laterite stone quarries (Kalluvettukuzhi) near the houses, in some places women alone dug graves and buried the dead. Women had to do the burials, which is the duty of the men according to the Islamic belief, as all the men in the locality had fled fearing the army. One of the graves dug by women, which is only 2 feet in depth, is still there. Now we have information about only 40 people buried in nine graves out of the 246 martyred. Most of the cruelties done to women, children and the aged by the British army during the Malabar Revolution haven’t been included in the public historical narratives. What the women, children and the aged experienced at the Melmuri-Adhikarithodi incident were cruelties violating the common norms to be followed even during war time. Among the graves are those of two daughters who were killed while trying to prevent the army taking away their fathers. One of them is an 11-year old from the Keedakkadan family at Adhikarithodi. She was beaten by gunstock when she tried to prevent the British from taking away her father from their house, holding him tight. When they couldn’t take her apart from the father even after several attempts, the army killed both of them together. It is said that they were visiting the girl’s mother’s house. The other one is Kadiyamu, daughter of Areeppuram Parakkal Kunjeen Haji of Konompara Cheeranganthodi. Kadiyamu had come from her husband’s house to take care of her sick and aged father. The army tried to push her off too with gunstock when she tried to prevent them dragging off her aged father who was lying on the big wooden storage container (pathayam). At last, Kunjeen Haji was forcefully taken off to the eastern yard of the house and laid on his front on the ground. Kadiyamu lay on her father to prevent him from getting shot. Finally, both were shot dead. Our pages of history couldn’t document these two brave daughters. And this can be read as evidence for the selected silence of the public mind towards Mappila history and Mappila woman.